The Basics of choosing a career path. How to decide! Reflecting – helping your teen to think about what makes them tick from a personality perspective, identifying what they are curious about, what skills they enjoy developing and using and what motivates them all matters. It also helps if they think about what they and why. Being clear about what they don’t enjoy or are less good at also matters to ensure that they don’t end up doing work which doesn’t suit them. Planning – working with them to sort the different options open to them into priority order so they can decide what steps they need to take to move forward effectively. Before they start planning their next move and start choosing a career path, your child will need to find out more about their own interests, likes and dislikes. They could start by answering the questions below and making their own list as they go. NB: you will hear these referred to as ‘generic’, ‘soft’ or ‘transferable’ skills. Whatever you call them, they are very high on employers’ priority list! How do they like to learn? Different options will offer different ways of learning. For example, some education courses will be mostly classroom-based while others will involve placements with employers or practical project work. If they enjoy classroom-based learning with exams they may want to take a generaleducation course like A Levels in the sixth form or at college. If they prefer practical project work with hands-on work experience they will probably be interested in a vocational course like an NVQ or BTEC which are also available in sixth forms or college. There is more on these alternative qualifications in the section on further education qualifications. If they like the sound of learning new skills while they work and gaining qualifications for the job they are doing they may be interested in an apprenticeship, a traineeship or a job with training. You can find more information in the section on Apprenticeships. If they would rather learn step-by-step at their own pace, in a small class, while gaining some useful everyday skills, a Foundation Learning programme could be the right choice for them. You can find out more in the section on Foundation Learning. ​The world of work is changing all the time. To help them plan their career, they’ll need to find out more about the kind of jobs that are out there now, and which ones could be big in the future. To get some inspiration, they could have a look at these websites, which feature video clips and case studies of people in lots of different careers. For a comprehensive approach, the National Careers Service site has over 800 job profiles. They can look at job families or use the search facility to find out more about careers. If you think your teen is likely to go to university, then Prospects site has extensive information for graduate level occupations. It is worth checking an individual role out on several sites to get a rounded view. Many of the jobs on these sites simply didn’t exist a generation ago and have developed a result of new technologies, engineering and research developments which is one of the reasons why parents, carers and teachers can find it a challenge to provide appropriate advice. 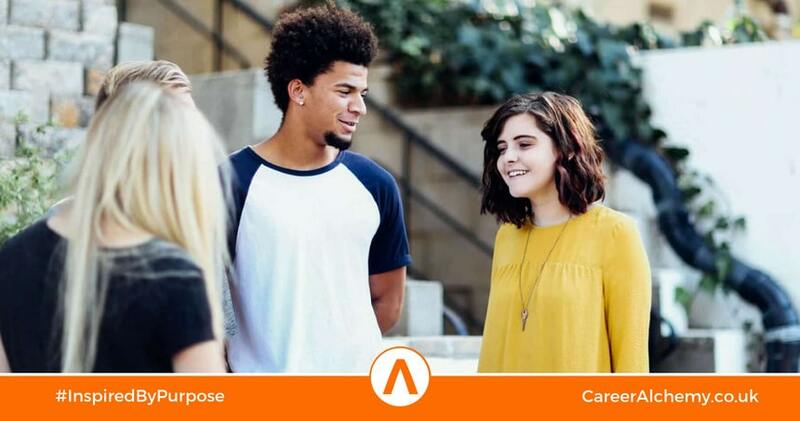 Once your teen knows what direction they want to go in, UCAS Progress is a great starting point to research post-16 courses and work-based learning.using its searchable database. These are just a few of the sites that are out there which offer excellent careers information. To explore others why not visit our Useful Sites page. Your teen’s school or college is responsible for making sure that careers advice is available to their students. Unfortunately, provision depends on funding and so is patchy though often they will have careers programmes such as Kudos and Careerscape from Cascaid, eClips or Launchpad to help students explore their own career ideas and interests and find out about hundreds of different jobs so they can decide what kind of career might suit them. Once they’ve got some career ideas, they could try listing those they are most interested in and why they like the sound of them. Experience tells us that while these programmes provide useful starting points, they do not replace good career discussions which encourage a deeper level of purposeful reflection to ensure that your teen makes deep long lasting choices rather than surface decisions they may well later regret. Also be aware that the Government predicts that 40% of all jobs in the next ten years will require a degree and the level of unskilled jobs will fall dramatically so make sure that your teen understands this as they make their choices. Can I start this career straight from school? This may depend on what qualifications they have or are predicted to get when they leave school. Remember, the majority of jobs these days ask for some qualifications. The Raising of the Participation Age (RPA) means that they can still go straight into a job, but there must be some recognised training as part of that job. Could I do an Apprenticeship? For some areas of work, an apprenticeship is one of the main ways to start their career. They may need some qualifications before they can begin an apprenticeship. Find out more in the Apprenticeships section. Do I need to get some more qualifications for this type of job? They may need to gain some more qualifications at school, college or even university. Find out what subjects and types of qualification they may need. For example, they might need a general course like A Levels, or a vocational course (sometimes called an applied general course) like a BTEC (one that helps prepare them for a particular area of work). Find out more in the section on further and higher education – qualifications explained. Do I need to build up my confidence and skills? They may not feel ready yet to start a higher level course, apprenticeship or job. Foundation Learning could help them to progress towards a Level 2 qualification (for example, GCSEs or a BTEC), which could move them closer to their career goals. They can find out more in the section on Foundation Learning. Even if they’ve got their ideal career in mind, it’s a good idea to think about other choices for the career path in case things don’t work out the way they planned. This is especially important if they’re aiming for a very popular course or career. ​For example, if they don’t get the grades they are hoping for or there aren’t any places available on their chosen Apprenticeship, they’ll need to have a good alternative to fall back on. Ask them to think about their alternative career choices and have a second or third option ready in case their plans need to change. This could be a different career choice, or perhaps a different route towards their first choice career — or a similar one.